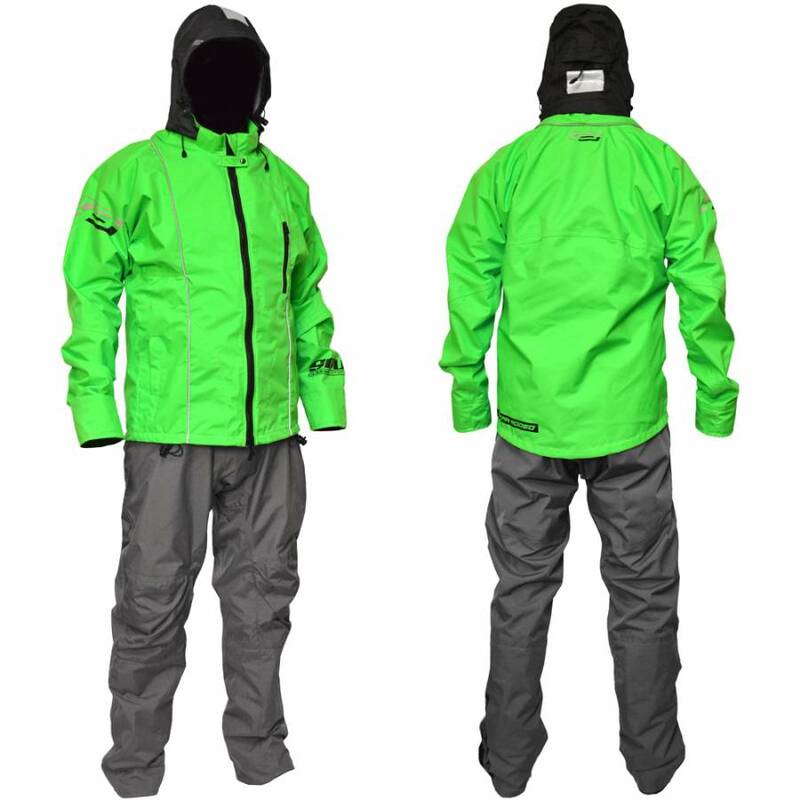 The suit that started it all, the Ocean Rodeo Soul continues to be the best selling drysuit ever. In the Soul highly refined design meets technical performance. 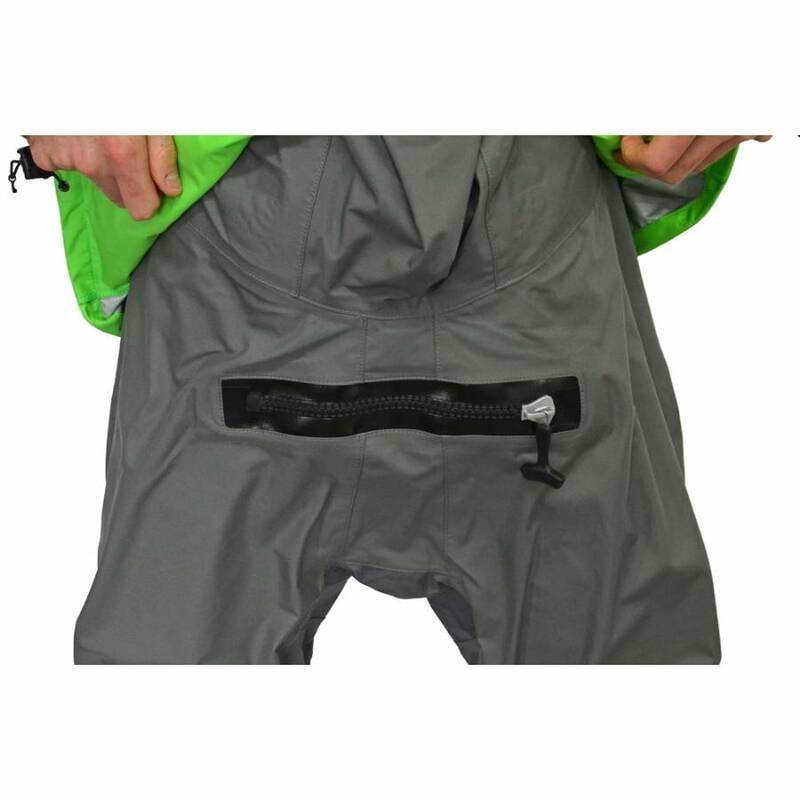 Built to offer you greater flexibility than any wetsuit and customization levels of warmth the Soul features Ocean Rodeo's revolutionary Captive Zip design, giving you the ability to choose fully "dry mode" or "standby mode". 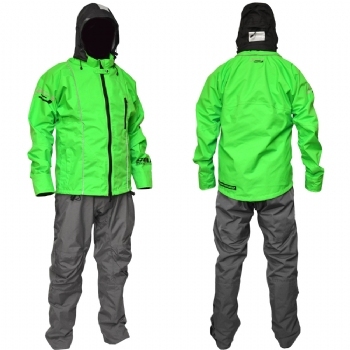 For kiteboarding we recommend the Soul 2.0 over other drysuits. 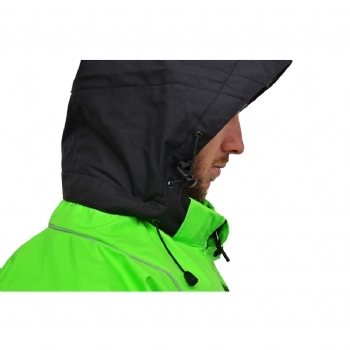 To stay warm you layer clothing underneath, synthetic fleece or merino wool are ideal, to suit the conditions. You could use the drysuit to keep you warm and dry until it's warm enough you would use a 3/2. 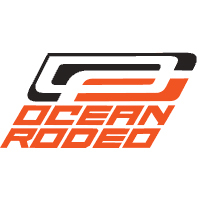 What makes the Ocean Rodeo Soul 2.0 better than a Ocean Rodeo Heat? The Soul has a removeable hood, crotch relief zipper, better reinforcement in the knees, seat, and crotch, "wader" waist belt, and reflective piping. 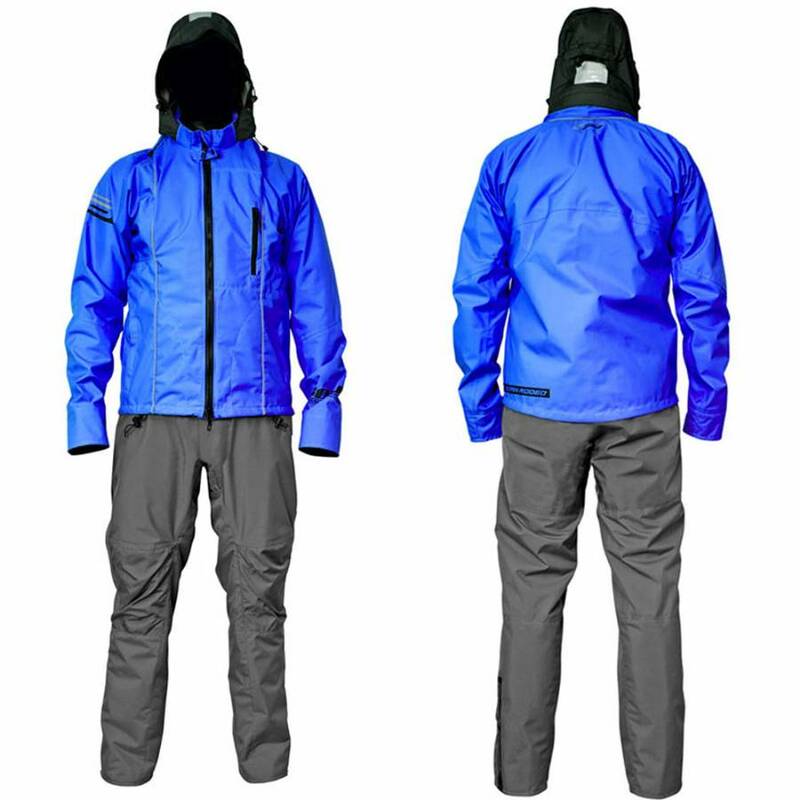 The Ocean Rodeo Soul 2.0 features many changes from the 1.0 version: Backing flaps and pulls on all the zippers, a 2-way zipper on the front of the jacket, articulated knees and elbows, a waist drawstring, larger pockets, and no neoprene in the hood and pockets for lightness and dryness. 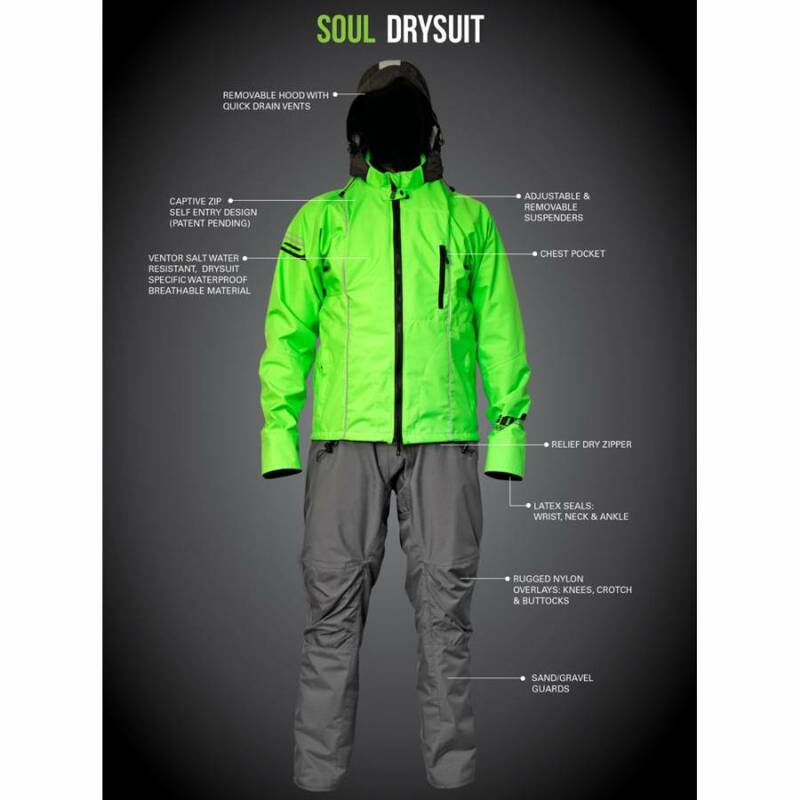 When worn in dry mode the Soul is 100% dry and breathable. 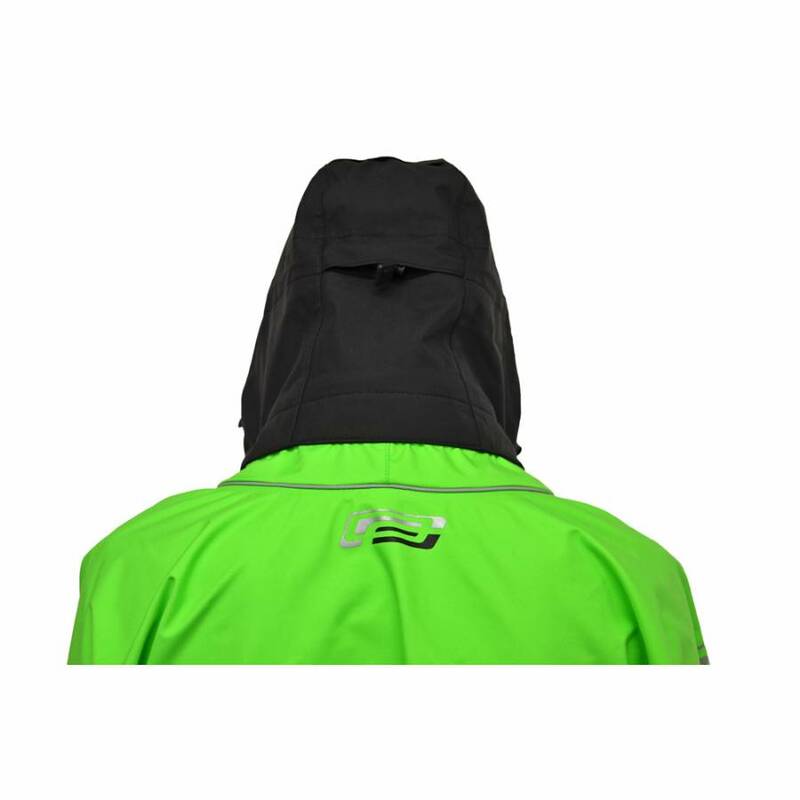 Between sessions, on your way to the beach or after your time on the water you can then open the dry zip and doff the neck seal. With the outer jacket then zipped up the Soul offers a well ventilated, hooded jacket and pants to protect you from the wind and rain. Converting from standby mode to full dry mode can be easily accomplished all while wearing your PFD. Your soul belongs on the water! Should I rinse the suit off between sessions? Short answer? Yes. Longer answer? You don't need to be super diligent. Obviously, a rinsed off and hung to dry suit will be much more comfortable to don before your next session though! Should I hang my suit to dry? Absolutely. Only when hung and in a well ventilated area will your suit be able to fully dry. Suits left wet overnight or in the trunk of your car will start to smell and may well also get stained with mildew or mold. If your suit is starting to smell, we suggest a rinse in McNett's MiraZyme. This product is completely safe for your suit and will kill odor causing bacteria, etc. How can I pack my suit for travel? The best way to pack a suit for travel is to lie it face down on the floor and roll the suit from the legs up to the shoulders, folding the arms in over the rolled suit. 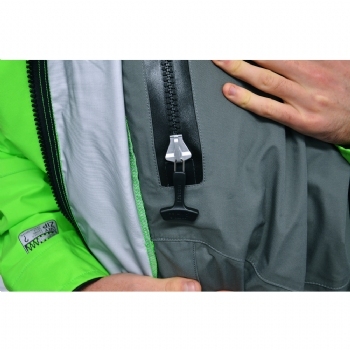 This will help prevent any folding of the zipper. Your zipper is the most expensive single component on your suit and should never be folded or kinked, as this can cause permanent damage to the zipper and a costly repair! 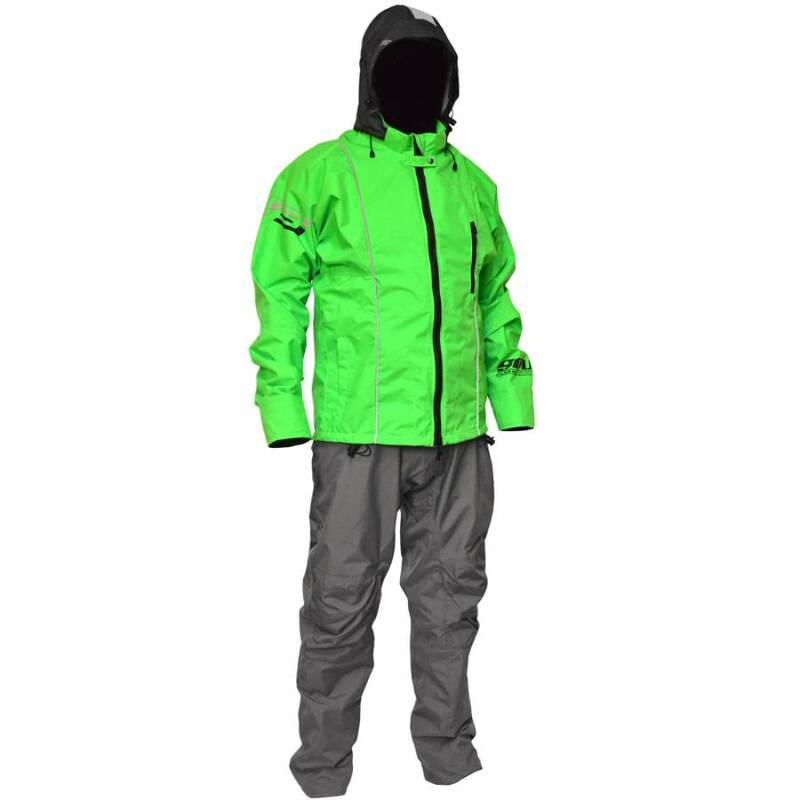 At the end of the season, how should I store my suit? You are best to ensure your suit is fully dry before storing it for the season. If possible, we also encourage you to hang the suit with the zipper open in a well ventilated area rather than folding and storing in a bin or drawer. Crucially, the seals of your suit will require some special attention. Your seals are made from a high quality, hand dipped latex which is vulnerable to oil. You can use talc or baby powder to soak up residual oils off the seals or McNett's Seal Saver product to clean and protect your seals. Best way to maintain my seals? Your seals require very little maintenance. However, there are some good tips to be aware of. Never don or doff your suit while wearing jewelry, especially on the hands or ears. If you see a nick in your seal, be sure to repair it before it grows! Don't "pull" your seals on over your wrists or ankles. Use your hands to help the seals over your head, hands or feet to prevent undue stress on the seal. At the end of each season, be sure to clean your seals with McNett's Seal Saver or similar product to absorb excess oils left on the seal. These oils can eat away at your seal when in storage. Talc or baby powder also helps absorb these oils and can be used. What if I tear a seal? In the unlikely occurrence that you nick or tear your seal, there is an easy fix. Contact us for a repair kit that can easily be ironed onto the seal to patch any small punctures, nicks or tears. If the tear is too large to patch, we also sell easily applied replacement seals. These seals ship complete with a heat activated dry glue which bonds with the rubber. Replacing the seal is as simple as cutting the old seal back to approximately 3-4" remaining and bonding the new seal to the stump left behind of the old seal. My seals are too tight - help?! Our seals are designed to keep you dry not by being tight but by sitting smooth and flush against your skin. At no time should your seals be cutting off circulation or breathing! If you feel your seals are too tight, you can easily adjust their size. However, 1st be sure that you've got the seal on such that it is smooth and flush against your skin and not folded back on itself as this will cause it to pinch. If you still need to adjust your seals, we suggest that you 1st consider taking wine or pop bottles and stretching the wrist and ankle seals over these overnight. This will often relax the rubber significantly. You can use a medium sized kitchen pot for the neck. As a last resort you can trim your seals to fit. Trimming the seals should be done 1-2mm (1/16th of an inch) at a time. You can see a video on seal trimming here. Water is getting into my suit. What now? If your suit is brand new and you're experiencing water ingress, it is almost certainly due to one of two possible mistakes. If you're getting wet close to the zipper (chest or groin) you've likely not fully closed your zipper. The zipper must be pulled fully closed such that the car is snug against the docking end of the zipper, there is a noticeable feeling when the zipper locks into place, fully closed. If you're getting wet around the seals, check to make sure your seals are smooth against your skin. Folds, creases or tucks will allow water to slip into the suit. Be sure as well that no thermal underlayers are trapped between your skin and the seal as this will wick water into the suit. 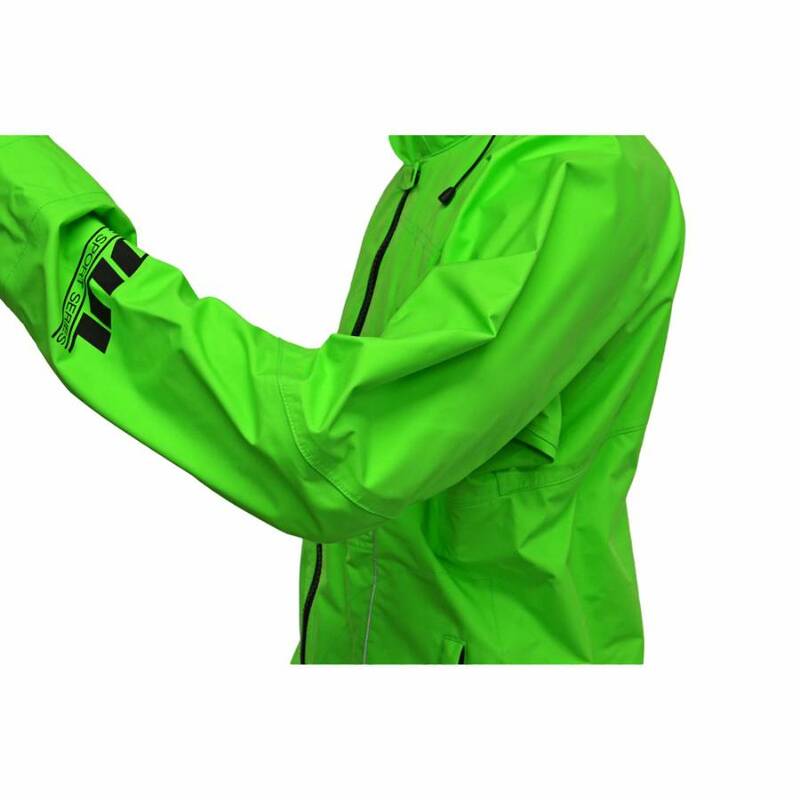 If your suit is not brand new, it might be time to refresh the waterproof barrier of your VentOR materials. 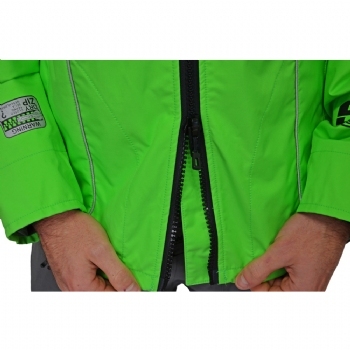 NikWax T.X Direct spray on waterproofing will dramatically improve your suit's breathability and waterproofness. What if I rip or puncture the suit? Your suit is made from extremely durable materials and will not succumb to rips or tears easily. However, if you do puncture or tear your suit, we offer easily applied patch kits that require little more than an iron and 5 minutes of your time. Your suit must be dry and clean prior to applying the patch. 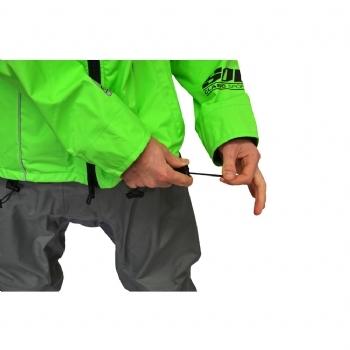 Turn the suit inside out and follow the iron on instructions to apply the patch and get back on the water quickly! Can I wash my suit? If your suit gets stained with something like mud or dirt you can lightly scrub the area with a light solvent such as hand soap. However, never put your suit in the washing machine or dryer!! Longer term, you might find that your suit needs a refreshing and is starting to smell a bit funky?. McNett's MiraZyme is an excellent option to clean and deodorize your suit. 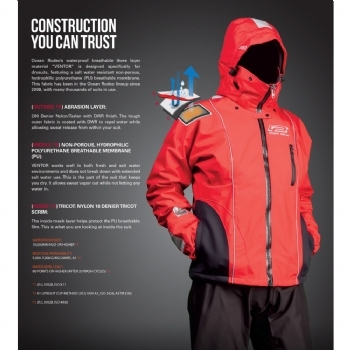 Can I refresh the waterproofing on the suit? Yes! 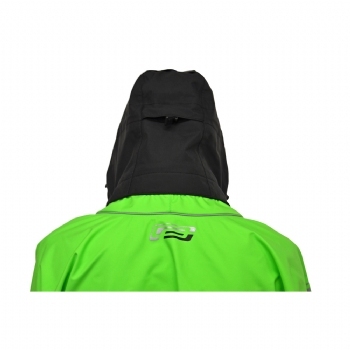 Over time your suit's waterproofing will begin to lose its water repellency - this is normal. You may notice a feeling that the suit is 'damp' inside or that it is less breathable than previous. When you begin to notice these traits, it's time to refresh your suit's waterproof barrier! NikWax T.X Direct spray on waterproofing is easy to apply and will dramatically improve your suit?s breathability and waterproofness, breathing new life into your suit! 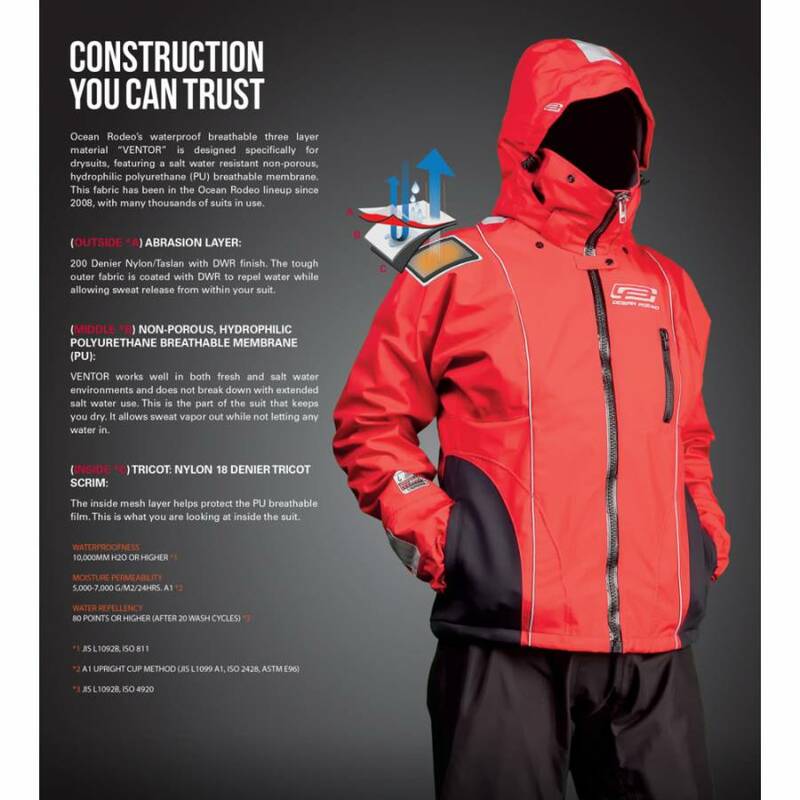 Very high quality dry suit. Love the green color.